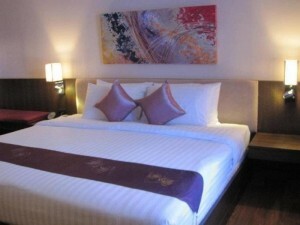 Paradiso Boutique Suites is an extremely modern three star hotel on Sukhumvit Soi 10. The hotel opened in 2009 and was renovated in 2011, making it one of the newest hotels in the area. Rooms are comfortable and very clean, with free Wi-Fi provided throughout the hotel. Nana BTS station is less than two minutes walk from the hotel, with Terminal 21 shopping mall just five to 10 minutes away. It’s also quick and easy to walk to Sukhumvit Soi 4 from the hotel. A great budget option for people that want a comfortable, new hotel.